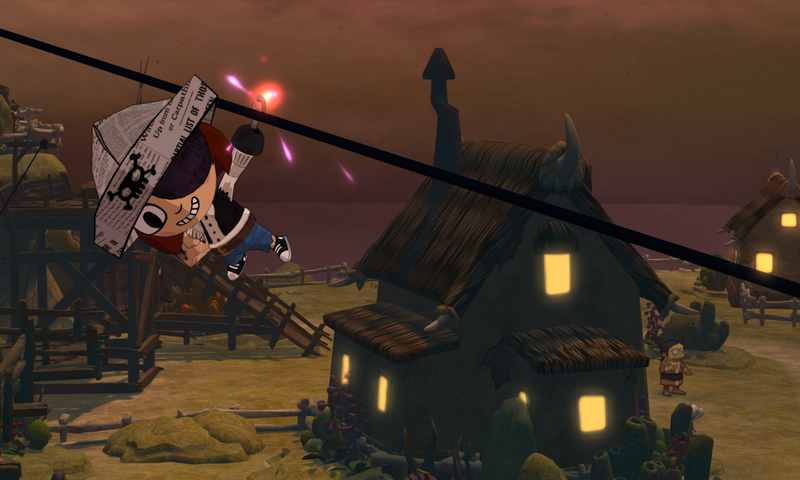 Costume Quest is an adventure role-playing video game developed by Double Fine Productions and published by THQ. 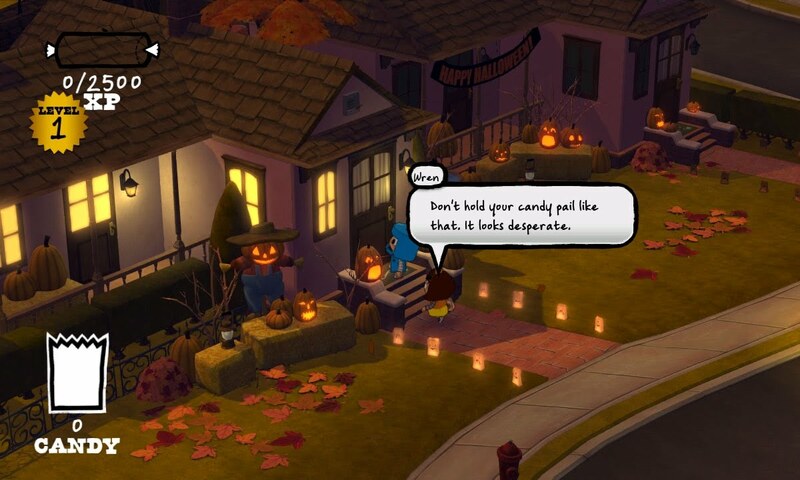 In the game, the player controls a child that is trick-or-treating with their twin on Halloween night when they encounter a monster that kidnaps the sibling. The player must travel around the local neighbourhood collecting items for their costume, candy and fellow children as companions in order to face the monster and rescue the sibling. The costume aspects are used in battle segments, where the player character and companions are transformed into the monsters and creatures they are dressed as to fight other monsters. Game is also available on Xbox Live. I have not uploaded much lately but figured I would add this for Halloween, since I forgot to last year. The game takes place on Halloween. Fraternal twin siblings Reynold and Wren are new in their neighbourhood and are asked by their mom to use their trick-or-treating to make new friends in the neighbourhood. The player at this point chooses which sibling to play as. The two dress in their costumes, with the non-playable character dressing as a piece of candy corn and the playable character dressing as a robot. A monster with a sweet tooth sees the non-playable sibling, and kidnaps him or her. The player character must now save their sibling in time and be home before curfew. Mount the .dmg and drag the Costume Quest.app to your Application folder - eject the disc image. Install or copy your game content to c_drive/Program/Files/Costume Quest - click on the game to play. Tried running it on a late-2011 MBP with an AMD 6770M and OS X 10.8.2. The icon stays on the dock for about five seconds and then disappears. Did you install the game - I assume you did as you have been a member for awhile.